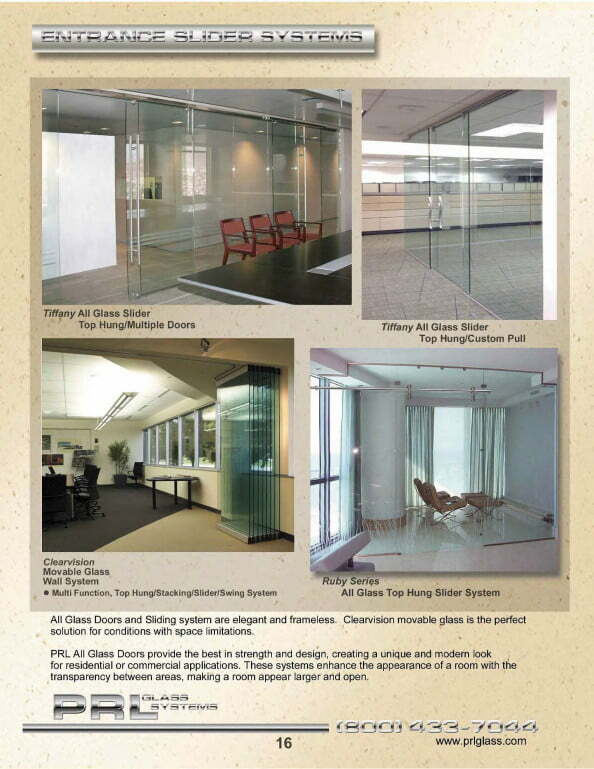 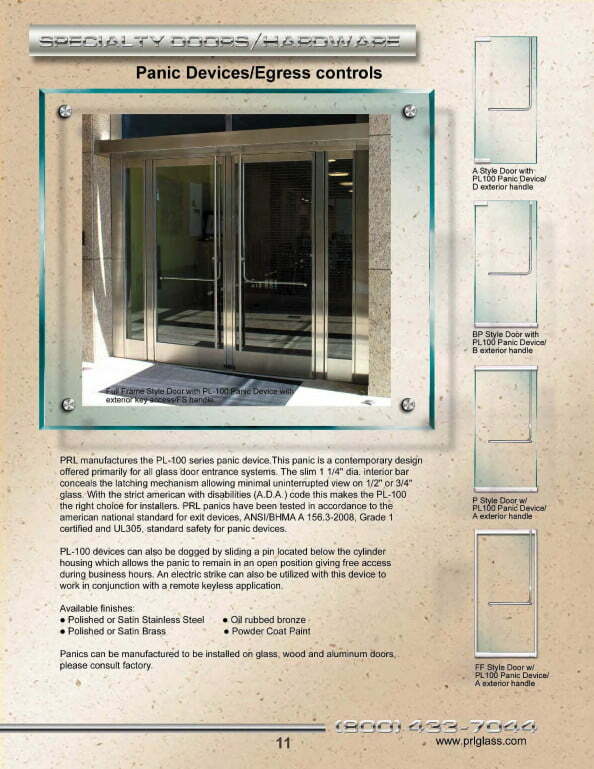 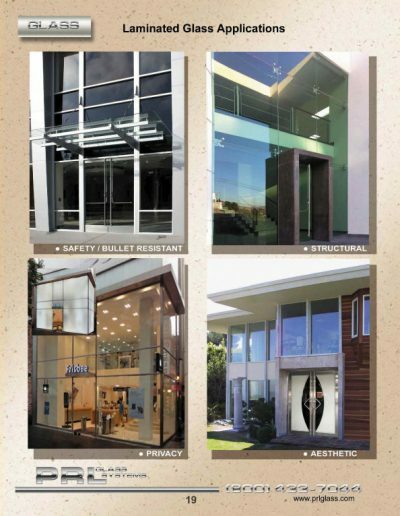 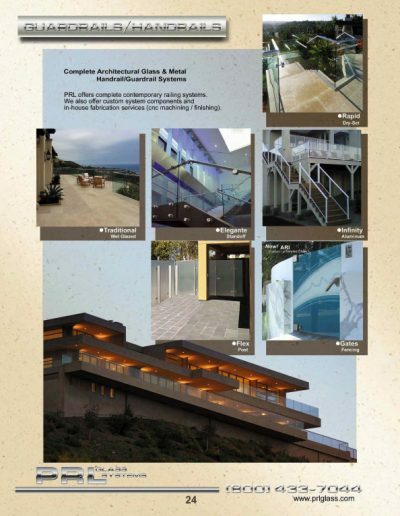 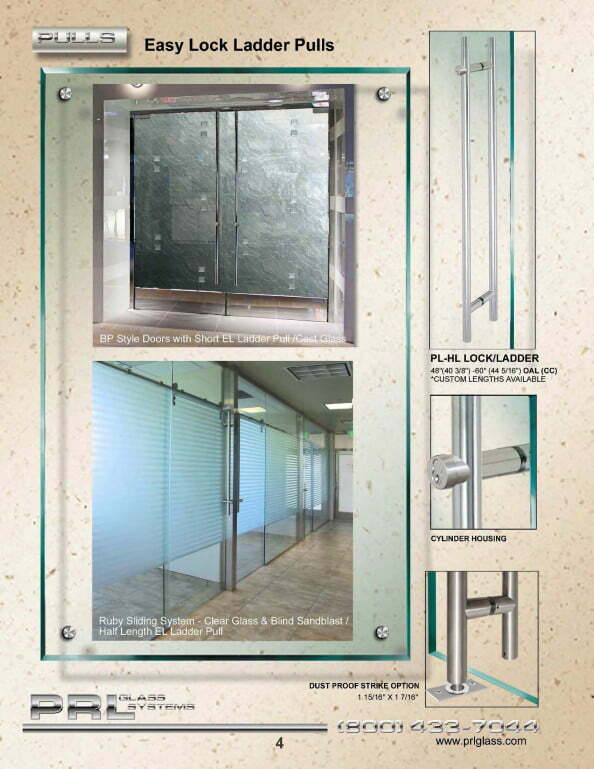 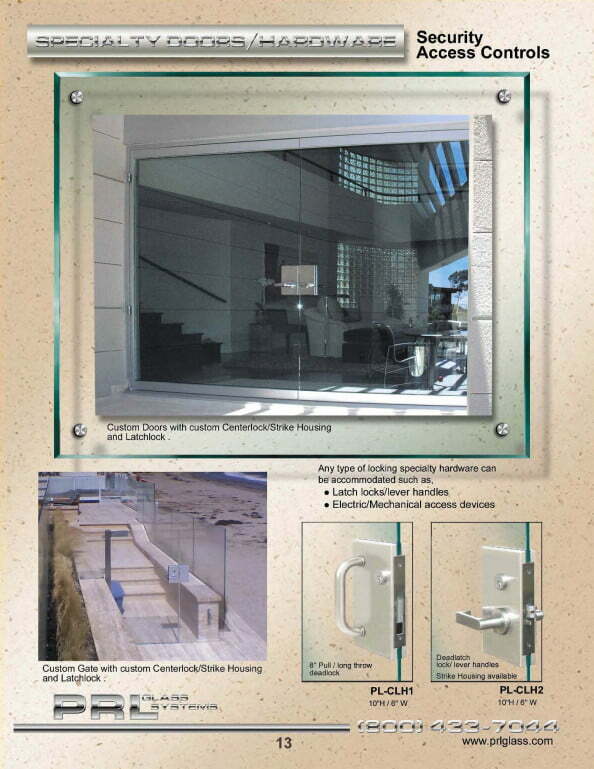 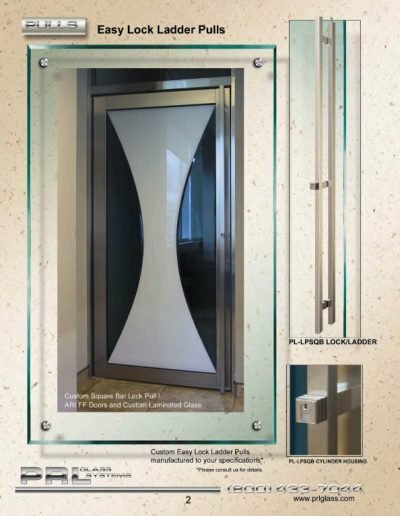 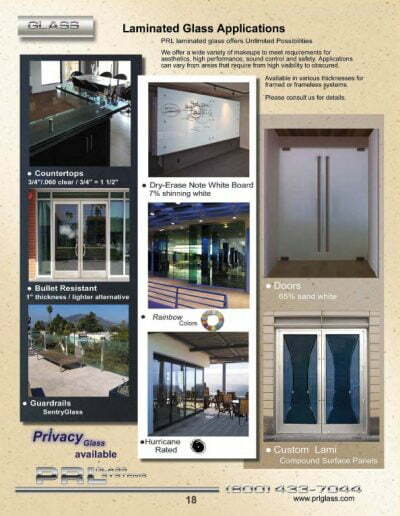 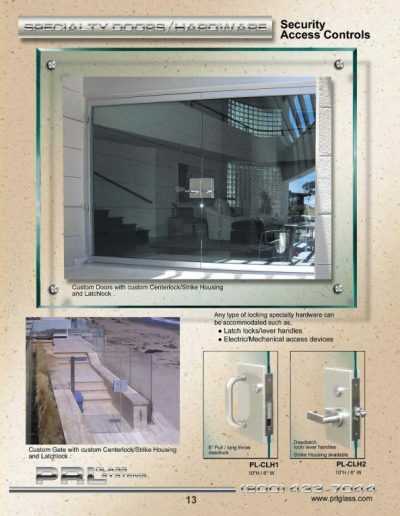 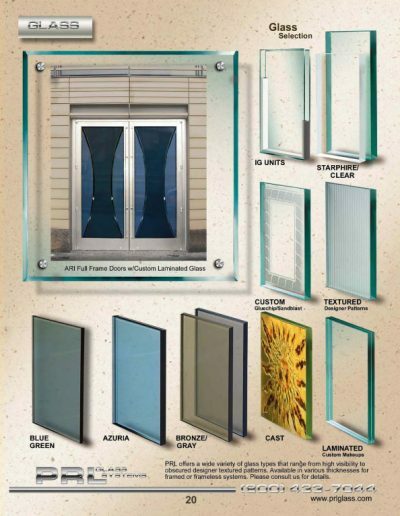 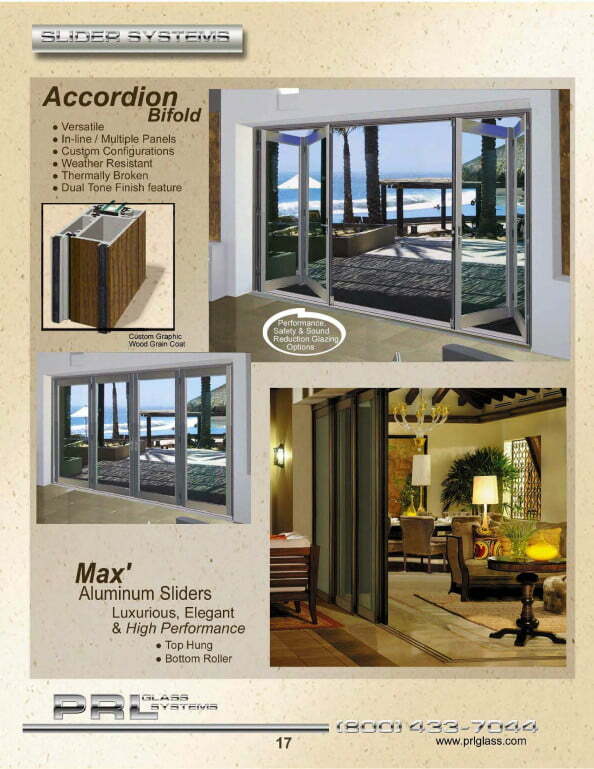 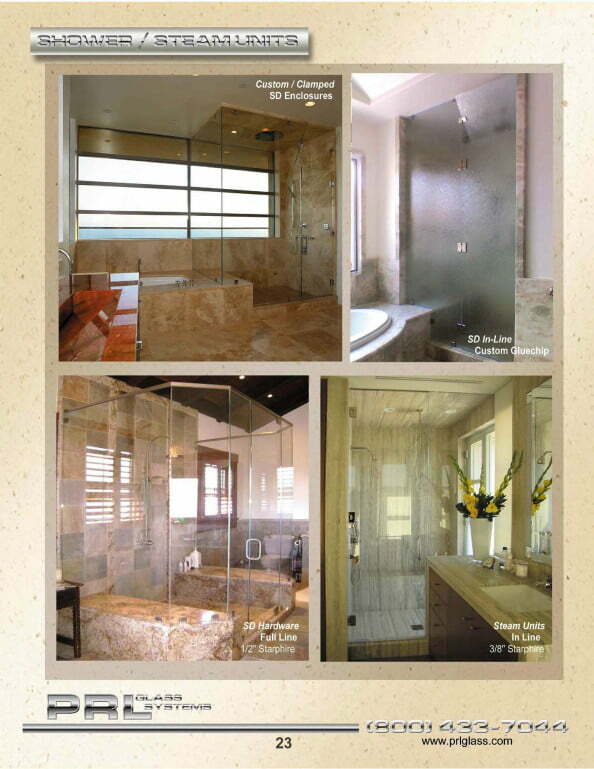 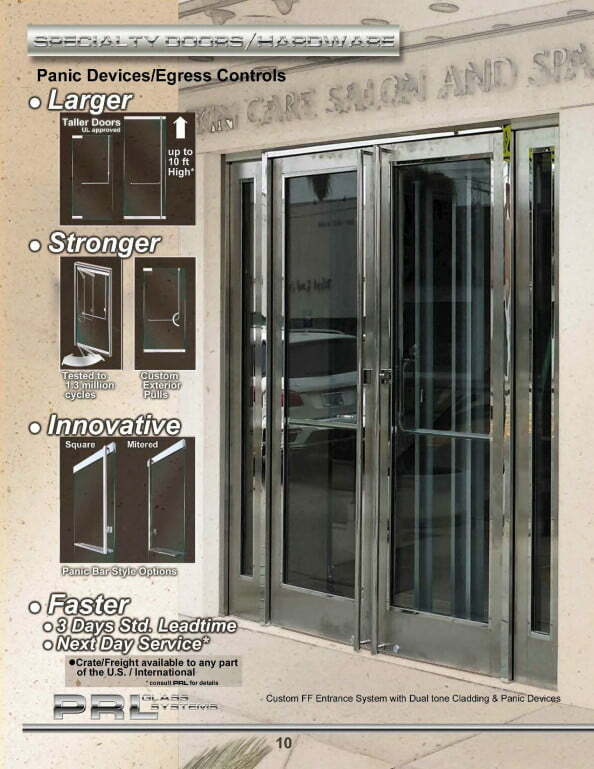 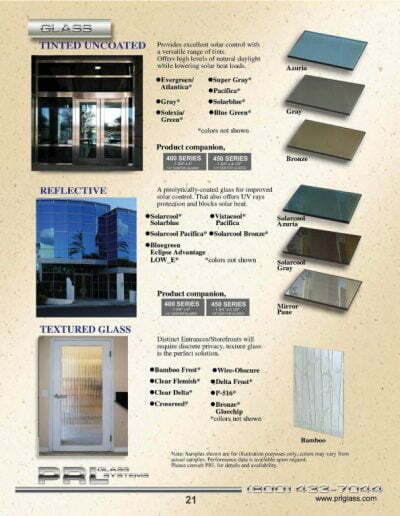 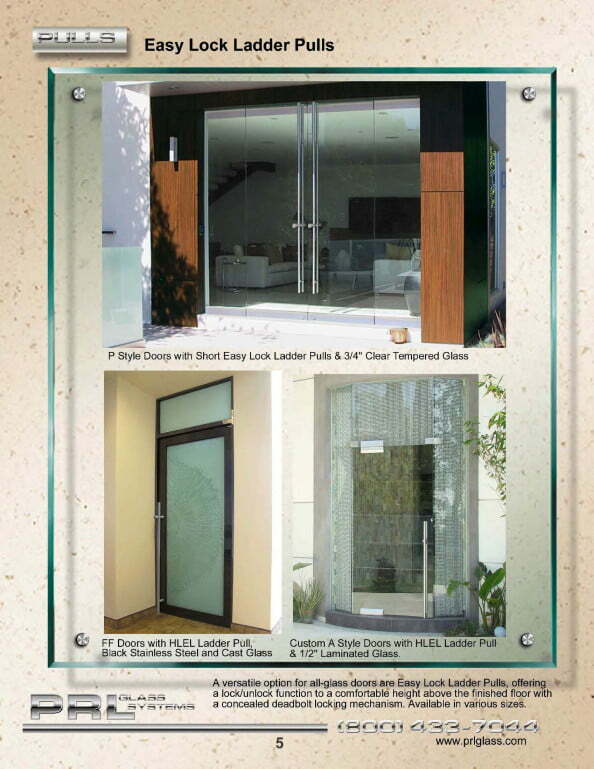 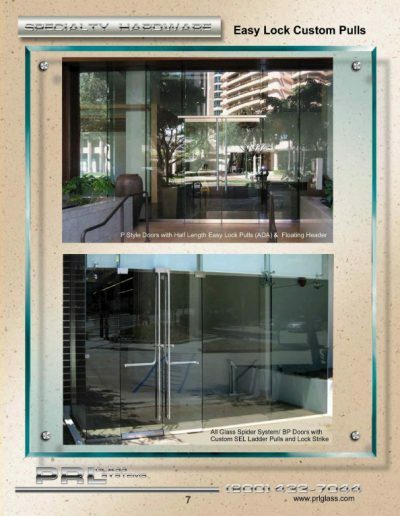 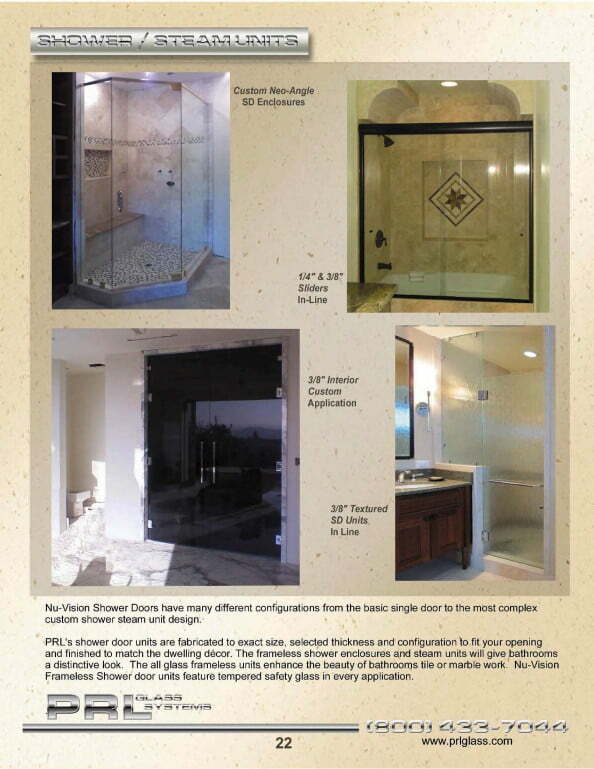 PRL Glass is a manufacturer of Glass and Metal Entrance Systems in the city of Industry California. 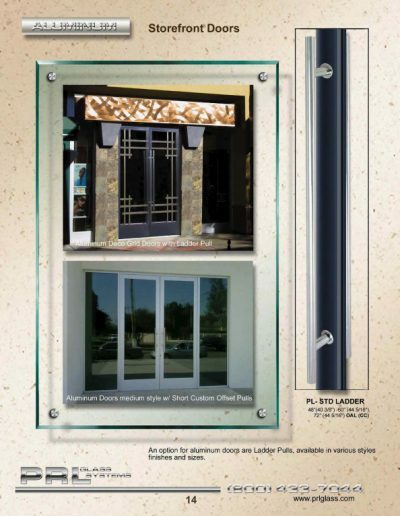 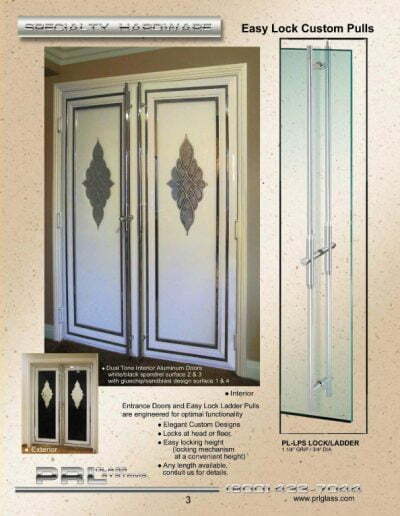 We also manufacture standard and custom glass door hardware for complete All Glass Entrances packages (your one stop shop). 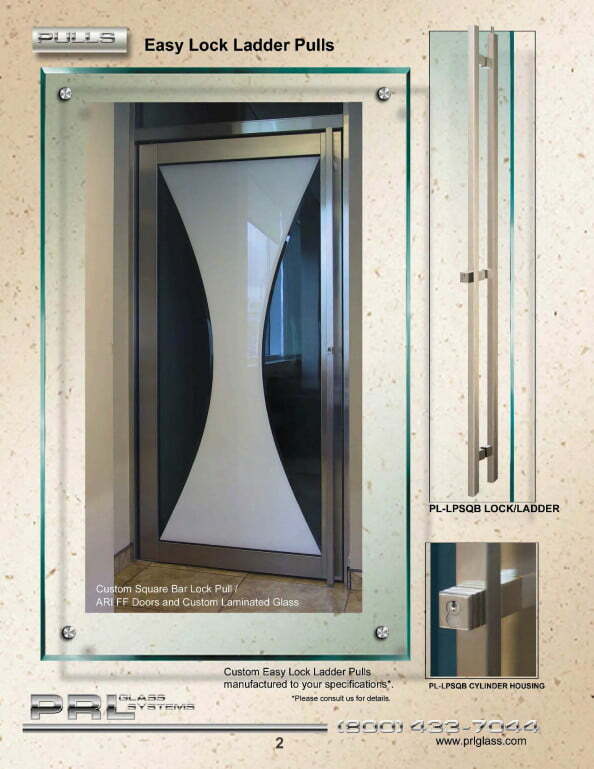 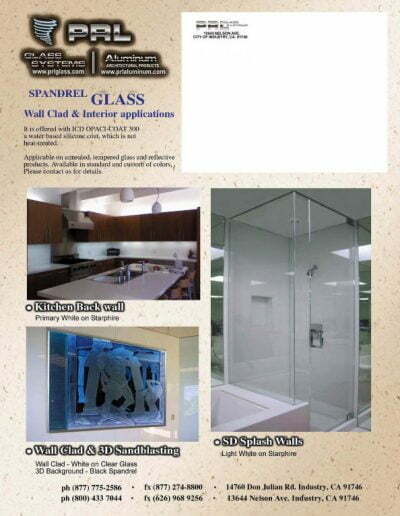 We offer Frameless Style Glass Doors with continuous rails or patch fitting hardware. 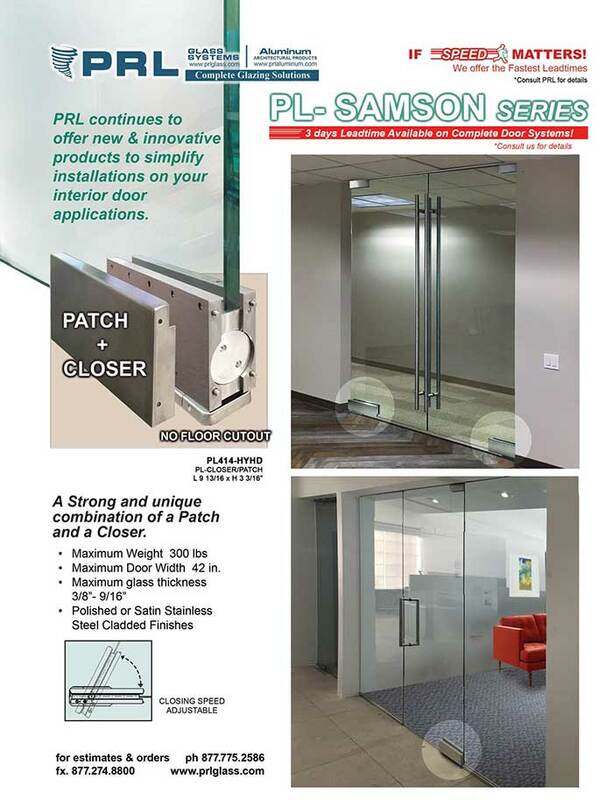 Patch fittings are available with 9-1/2″ patch rails or Euro-style patch fitting hardware. Continuous bottom rail are also available in a variety of styles (PL150, PL350, PL387, PL600, PL1000). 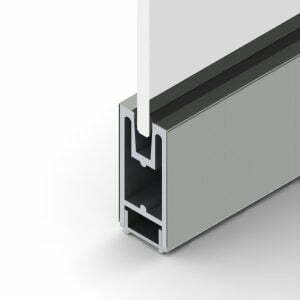 Our glass doors can accommodate 3/8″, 1/2″, 5/8″, and 3/4″ glass and All of our glass door hardware rails are extruded in-house with custom sizes available upon request. 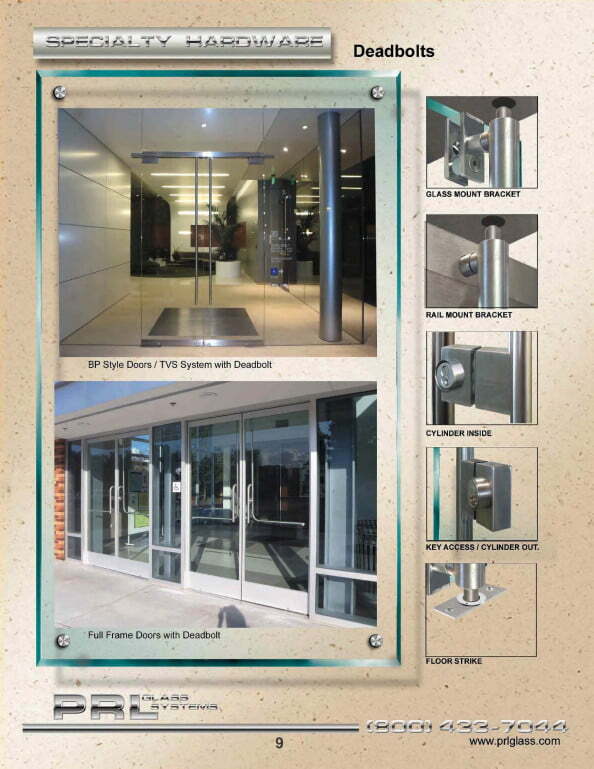 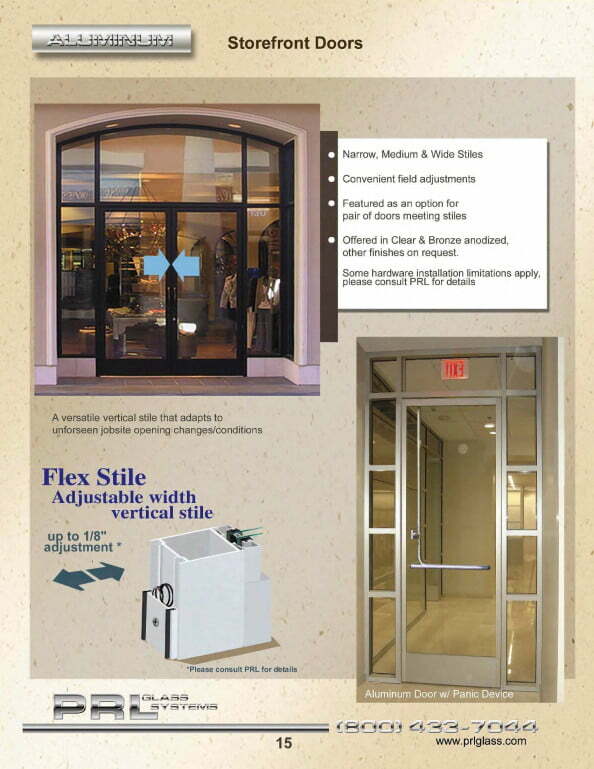 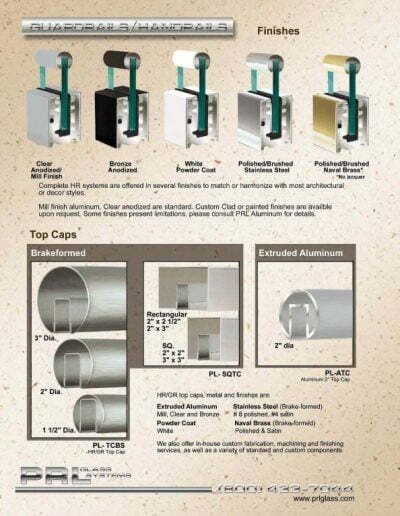 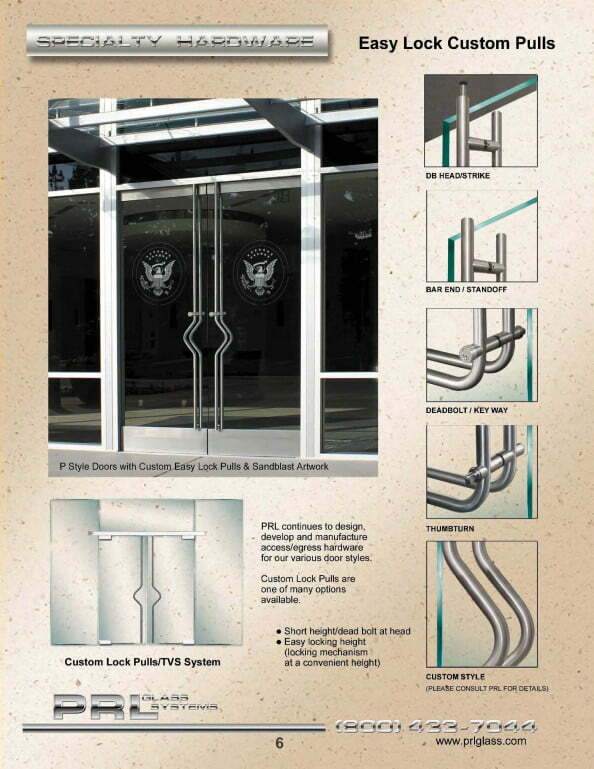 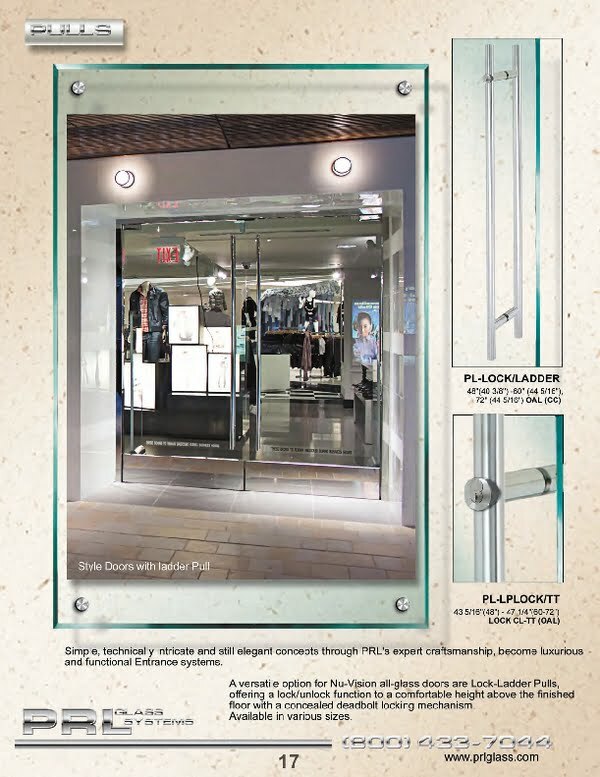 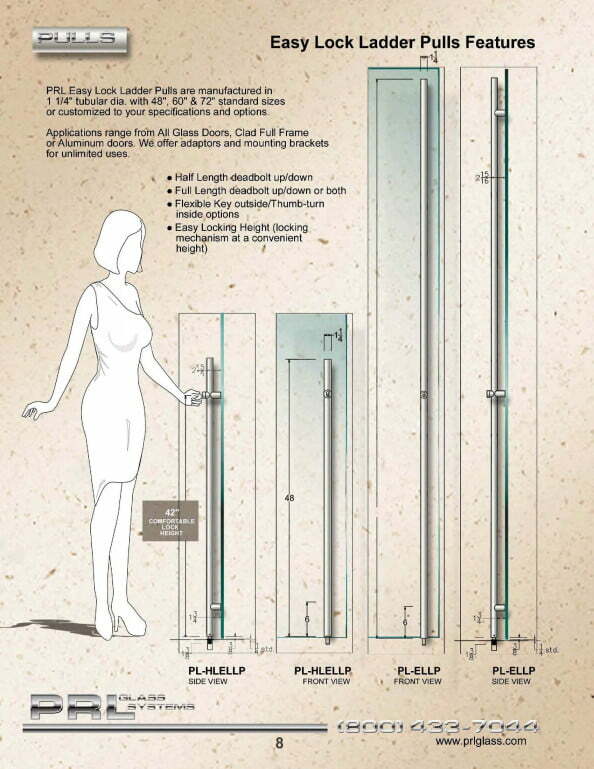 PRL also fabricates tubular panic door devices, complete door hardware and locking ladder style pulls to compliment each and every Glass Door Entrances system. 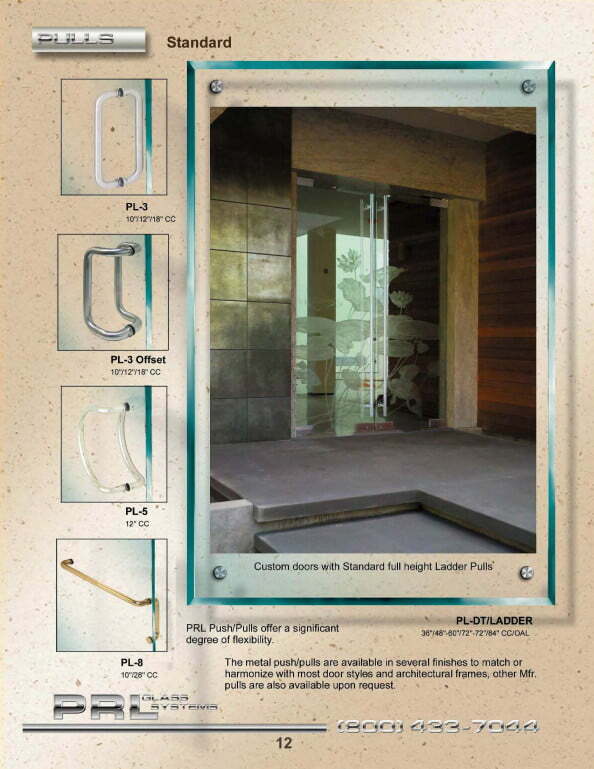 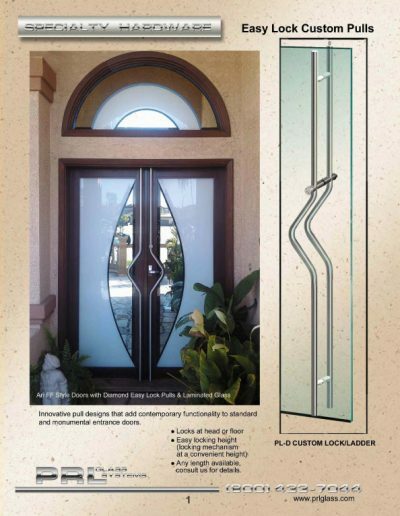 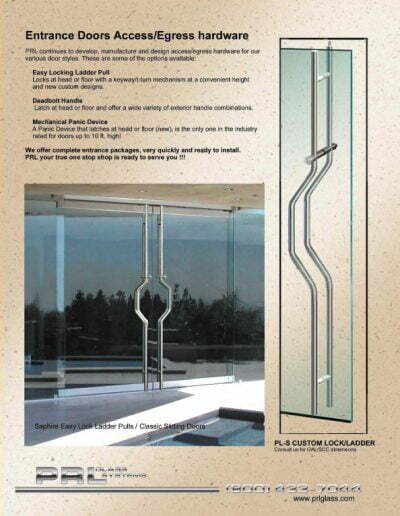 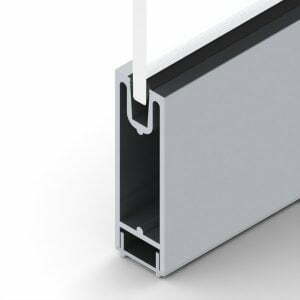 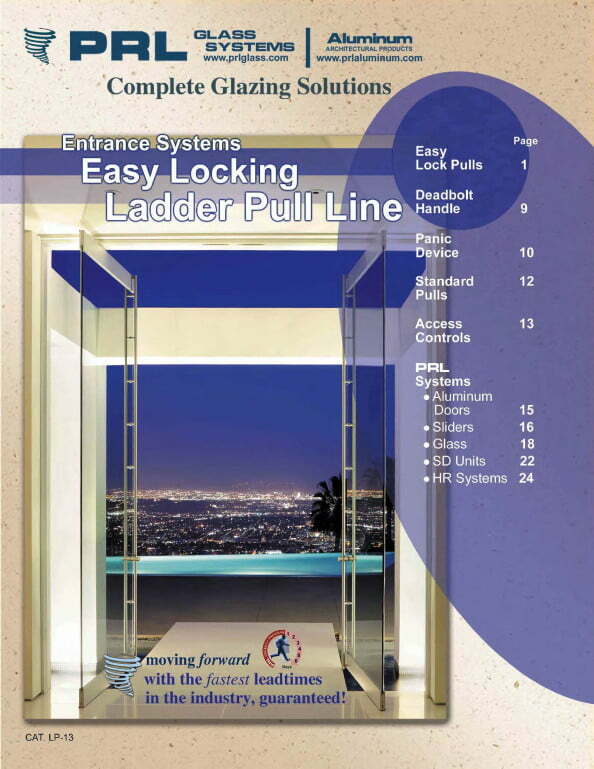 The Ladder hardware pull line is now one of the most popular push pulls used on All Glass Doors. 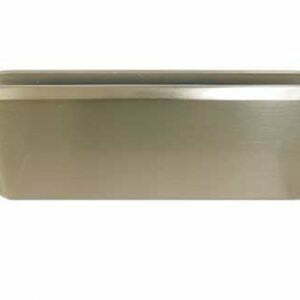 They are manufactured of 1-1/4″ diameter tubing and available in #4 Brushed Stainless Steel, #8 Polished Stainless Steel, Satin and Polished Brass, Clear Anodize and Bronze Anodize. Custom lengths are available upon request. 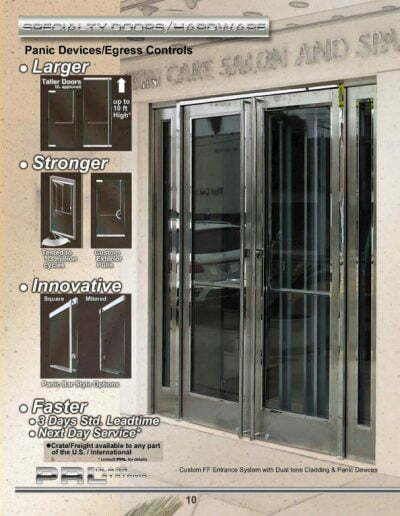 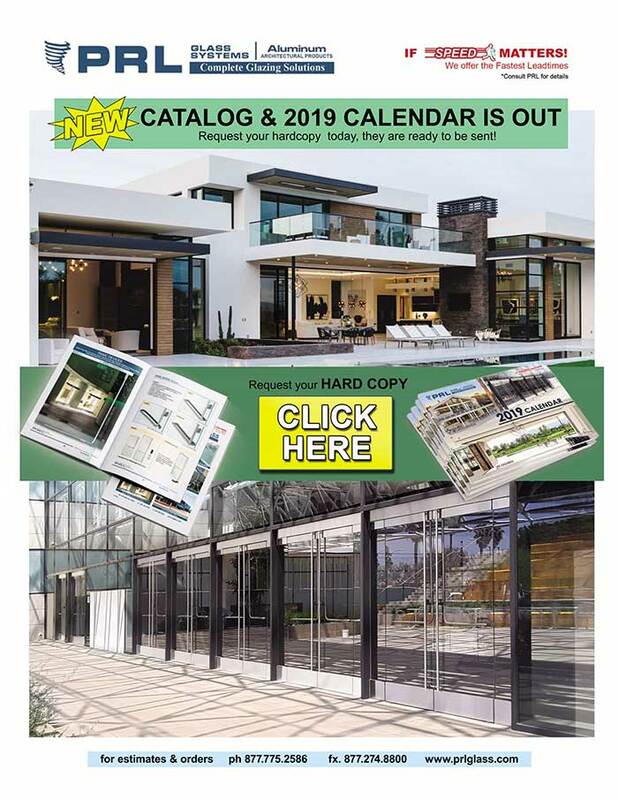 Our mission is to simplify your purchasing of complete Architectural Entrance Door Systems and Hardware by supplying all necessary components for one source, Simply supply us your glass entrance door and hardware specifications and let us take care of the rest Toll Free 800-433-7044.